These Op Art Record Covers Will Make Your Eyes Bleed | NOISEY: "Op art (or optical art) is a style of visual art that creates optical illusions. This can be really interesting as well as really, really sickening. Here are a few of my favorite examples of op art used on album covers. I apologize in advance for the headache." MAKE | Kickstarter Rule Change: What It Means for Makers: "While the maker community has been focused on the MakerBot news and ensuing discussion on open source hardware, Kickstarter not so quietly changed its rules in a way that significantly affects how makers can use the platform." YouTube will serve content to legacy iOS app indefinitely: "Google's YouTube announced on Friday that it will continue to feed content to its legacy iOS app for iDevices running iOS 5 and below, allaying fears that the service would be shut off to push users toward the new standalone app." On February 14, 1946, the US Army finished building the Electronic Numerical Integrator and Computer, the world’s first general-purpose electronic computer—a system larger than my apartment. ENIAC was originally created with the intent of calculating artillery firing tables for the Army’s Ballistic Research Laboratory." Furnishings by Kelly Behun and Alex P. White on Display at R20th Century - NYTimes.com: "‘After,’ a collection of eight furniture pieces and two wallpaper patterns by the interior designer Kelly Behun and her colleague, Alex P. White, currently on exhibit at R20th Century, pays tribute to the artists, living and dead, who have influenced them." While the release of Apple's OS X 10.8.2 Mountain Lion and iOS 6 have taken most of the spotlight on Wednesday, the company released a plethora of updates for OS X Snow Leopard and Lion as well as new firmware and software versions for select products." A little love for the "retro" versions of Mac OS X. Industrial engineer Oscar Ramírez approached the conception process for Astro with three cornerstones in mind: Compact. Intuitive. Simple. Compared to the complicated, touchy and expensive panoramic/time lapse tripods that seem to be the norm, Astro provides a refreshing alternative." Apple's lead designer Jonathan Ive will reportedly design a one-of-a-kind limited edition Leica M camera to be auctioned off for charity." It's a camera like no other. References When I started on spring/summer 2013 I went back to the references for my first ever collection, which included the Op-artist Victor Vasarely - so there will be no floral and nothing overly decorative. Colour always drives me and I love the balance of colours in Vasarely's work. I bought these two Vasarely books (pictured below) from a second-hand bookshop in Glasgow when I was at art school; they are still marked with Post-it notes from that time. I collect books and have about 3,000 at the studio, but the Vasarely books live at home." Apple released an update to its consumer video editing software iMovie on Wednesday, bringing a fix to a bug related to third-party components in Quicktime. 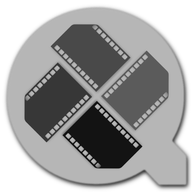 iMovie version 9.0.8 fixes a minor issue regarding third-party software components that could cause Quicktime to stall on launch." Heard more than afew users complaining about this on the boardz.